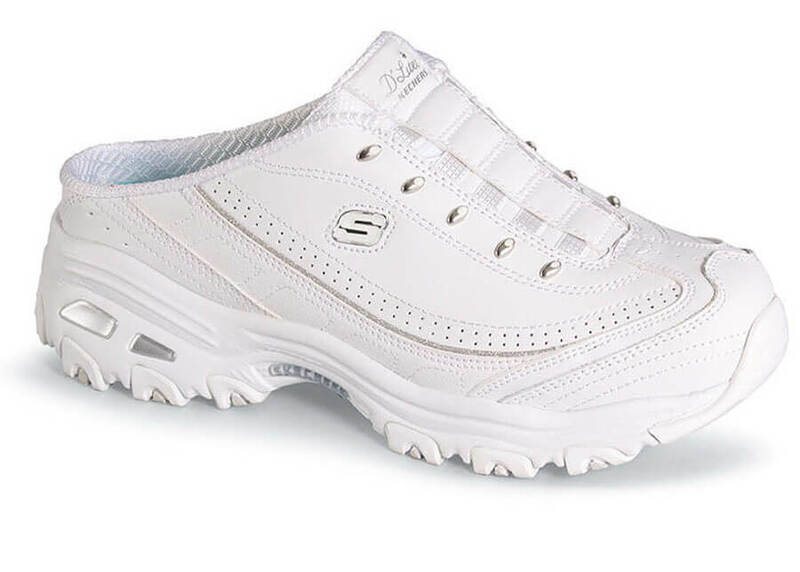 Part athletic shoe, part clog, the Skechers Sport D’Lites “Bright Sky” slide has clog-style backless opening and sport shoe-style white uppers with well-padded linings and tongue with elastic “lacings” for easy fit. Comfortable Air-Cooled Memory FoamTM insole for extended wear. 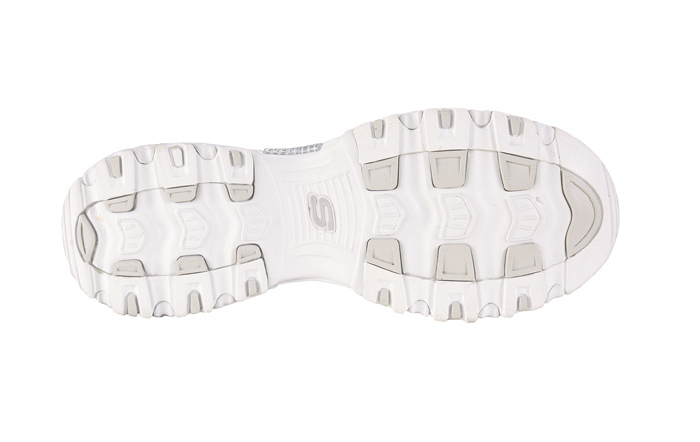 Lightweight, shock-absorbing midsole and flexible outsole with traction rubber pods, 1¼” heel height. Seasonal item: limited stock in women’s EW(2E) width in sizes indicated.